Bobbie from A Vision To Remember offers custom baby rag quilts, car seat covers, tutorials, patterns, PIF Free patterns and DIY kits. There is nothing more special than a handmade gift. Bobbie’s patterns for infant car seat tents and rag quilts are easy and to make and can be whipped up in just a few hours. She has a total of 13 different patterns to choose from in her store! There is also a large selection of ready-to-ship items as well if you don’t want to make them yourself! 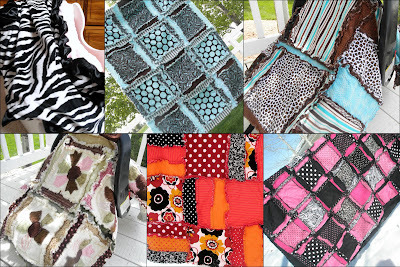 Order a premade rag quilt or order the pattern to make one yourself! And don’t forget to create a little belly love for that changing body of yours! This Pattern is perfect for mommies in waiting! And check out this fun hair clip! Patterns await! A Vision to Remember wants to make 2 lucky readers very happy by giving them each a gift credit of $10.00 to use in their shop! Awesome, right? And they also want to give everyone the chance to get a pattern 1/2 off! Buy one pattern get the second Half off! Just be sure to make a note to seller to ask for the discount! Here’s how to enter to win…. please leave one comment per entry! Jump on over to A vision to Remember and take a look around! Report back here telling me what you love! Visit there blog HERE and say hello! Help spread the word about this fun new company by blogging, tweeting or facebooking about this giveaway with a link back to this post! Love the belly band idea. I need that pattern! I've ordered from Bobbie before, I love her stuff! I'd love to win a gift certificate, I need another pattern. LOVE the car seat cover that double/triples as a blanket and nursing cover! I must have a rag quilt!!! Rag strip quilt pattern and Belly band pattern. I would get them both! I really like the car seat toy bar tutorial! I love the pencil and book holder. Oh yeah, and ALL the patterns! Great value. Bellaband! I was only able to afford one last time I was pregnant but always wish I had different colors to match my outfits better! And the football rag blanket pattern would be awesome too! I like the rag quilt pattern a lot!!! Just left some love on their blog–and I looooooove that recipe for NO BEANS! I must try it! Great stuff! I love the belly band pattern! Lot's of fun patterns there – I'm dying for the belly band pattern! I left a comment on their blog on the page with the flower tutorial. Hands down, THE BELLY BAND PATTERN! We're trying for our 3rd and last child here, so hopefully I'll have use for one soon! I can't justify paying the $20 plus dollars of a commercial made one! I love the sports rag quilt, SOOO adorable!!! I'm in love with the RAG QUILT Ruffled Flower pink green! I love the rag quilts. Super cute! I love the red and black fun rag quilt. i love the scrap flower pattern so cute and fun! I love the belly band pattern! It would be fun to make my own to match every outfit. Lovin' the rag quilts! So many great ideas! cute! love the disappearing 9 quilt pattern. I must admit – I am a pattern collector! The car seat tent is genious. I love the john deer tractor rag quilt… so darn cute! Fun stuff – I'm thinking I'd go with one of the rag quilt patterns to try out. I want to know how to make that hair clip! I checked out her blog and left a comment on the German chocolate cake! I like the rag quilt pattern! i love the CAR SEAT TENT Brown, Blue, Green, Cover such a great idea! I'm a fan of that belly band. I have a tall torso and struggle with layers. I just love all of the rag quilts! 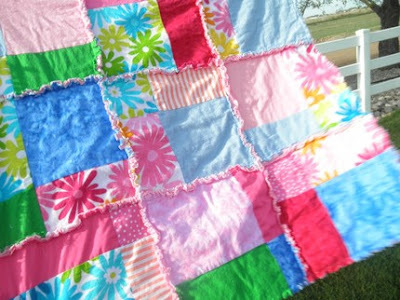 I love the RAG QUILT Ruffled Flower pink green! i love the belly band, and the damask brown and turquoise car seat tent! I would love the Disappearing 9 square rag quilt Pattern. What a cute blanket! Absolutely love the Simple Scrappy Selvage Fabric Flower…this could be attached to anything! The child's art portfolio pattern is great and would be very useful around here! The Hawaiian Rag Quilt is GORGEOUS!!! I love the rag quilt patterns. I commented on Bobbies blog! I think the Ruffle Blanket tutorial is super cute. So are all the rag quilt tents!!! i love the yellow/gray/black modern car seat tent! so cute! left some love on their blog! I love the rag quilts. My sister just had a baby boy and I'm sure he would love one of them. I LOVE LOVE LOVE the rag quilts. I must have one too!! 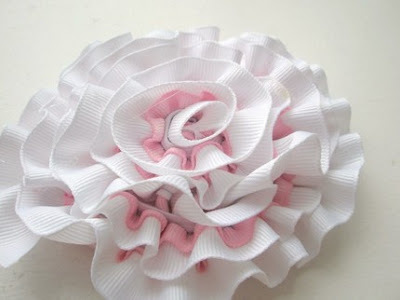 I love the ruffled flower rag quilt, it would go perfectly in my niece's room! I love the RAG QUILT Ruffled Flower pink green. 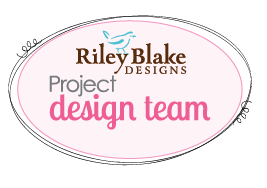 Several friends are expecting and I'd love to make them some personalized belly bands! What a great idea for a pattern! I love the Belly Band, the Car Seat Tents, and the Ribbon Skirts. Very cute stuff. I would love one of the car seat tent patterns! I definatly love the quilts. I think they look so cute and cozy. I love that there is an easy pattern for a soft car seat toy bar! I would love to do this! Checked out the blog and love the hair flower with the wired ribbon. The OH BOY carseat tent is DARLING! that John Deere Tractor stuff is AMAZING! 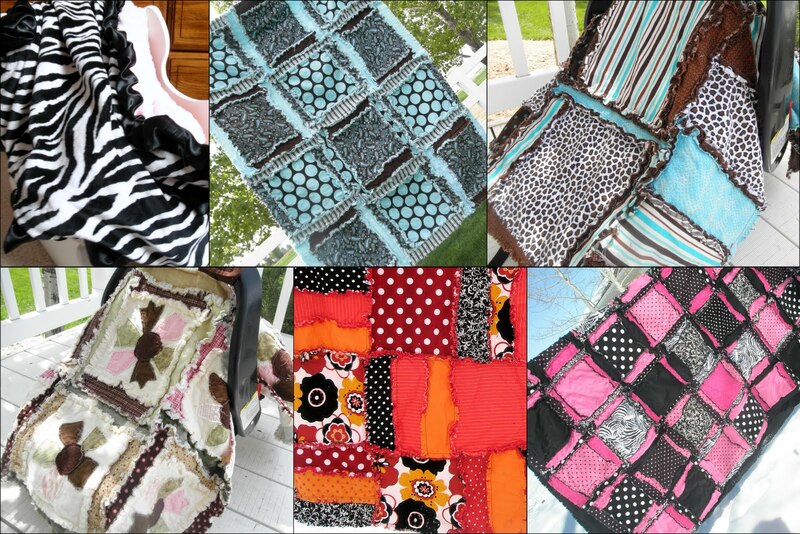 PATTERN Rag Quilt, Car Seat Tent , cover blanket, Addy Mae, love this fabric! The pattern is a must have with the car seat tent and cover! I would get the car seat and rag quilt patterns. I'd love the belly band pattern. I've bought some in the past thought it'd be so easy to make but haven't been adventuresome enough to just try yet! The car seat tent/nursing cover pattern would be awesome as well! Oh wow. I love the belly band pattern, and LOVE LOVE LOVE that John Deer quilt! Genius! I want a belly band pattern. Oh and I love that tractor blanket! So awesome! I love the car seat tent in blue and yellow bird applique. The car seat tents are adorable and so useful! The football rag quilts are too cute! They would be perfect in my little boys bedroom. 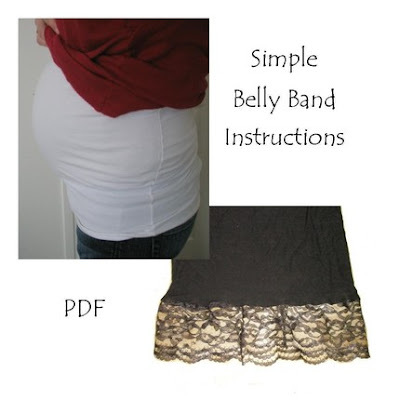 The Belly Band pattern is great, I wish I had that when I was pregnant. I would get a couple of patterns. The book and pencil bag is one of my favs. The John Deer tractor quilt….and we have some leftover fabrics from years ago that could use! The bellyband pattern would definitely come in handy! I love the john deere rag quilts! Rag Quilt Football Applique Sports is my fave! Perfect for football season as my husband is a coach. My little guy and I can cuddle and keep warm under it while we watch daddy coach. i love all the rag quilts. would be perfect for my nephew, who's due in october. I love the queen sized orange, brown, and green rag quilt. The ROckstar rag quilt would be fought over daily at my house! Those rag quilts are adorable! They would be perfect for lounging in front of the tv on a cool night. If only we could get a break from this 110 degree weather we are haveing! I love the patterns and the rag quilts! always wanted a rag quilt. I think that the tractor quilt is so cute! I'd love to have the pattern. I LOVE the belly band! HOWEVER….I'd be making it for my almost-7-year-old to wear! She cannot seem to keep her pants pulled up and her shirts pulled down! I love the Red and Black Fun blanket, so cute! I'd LOVE to have this pattern: PATTERN Star Rag Quilt Baby Blanket! It'd make such a great 4th of July quilt! So many give aways…so little time! I love the My Garden Applique Rag Blanket. So cute and personal! I visited their blog and said hello in a comment! i totally need the rag carseat canopy pattern! Car seat tent is cool!